The Hitman franchise has been going strong since 2000, the year when the first Hitman game hit shelves. This year’s Hitman entry was also pretty great, as we pointed out in our review. But it seems Danish developer IO Interactive has more in store for Hitman fans in 2019, as it recently announced that Hitman HD Enhanced Collection will be coming out on January 11. This collection includes remastered editions of two well-known Hitman games: 2006’s Hitman: Blood Money and its 2012 successor Hitman: Absolution. Both remasters support 4K resolution on the PS4 Pro and Xbox One X, but also feature improved textures and enhanced controls for those playing on a vanilla PS4 and Xbox One. “We’re very happy with this collection and how we were able to update and remaster two of our classic Hitman titles for modern consoles”, said IO Interactive’s CEO Hakan Abrak in a press release. However, while its good news for Hitman fans and those yet to dive into the Hitman series that these two games are being remastered, it’s clear that Hitman: Absolution and Hitman: Blood Money enjoy a different status amongst those who love the Hitman games. Actually, and despite boasting great production values, Hitman: Absolution wasn’t loved by Hitman purists back in 2012. This is because the game had its fair share of linear sections instead of the open-ended gameplay the series is famous for. Although newcomers definitely appreciated the fact that this was a more accessible Hitman game when Absolution launched six years ago. And despite getting some hate from die hard Hitman fans, Absolution is regarded as a cinematic tour the force by some, and also sold millions of copies back in the day. Of course, Hitman: Blood Money (the other game which forms part of the upcoming Hitman HD Enhanced Collection) is an all-time classic, offering sandbox gameplay in a variety of locations ranging from Egypt to New Orleans, even if it has been surpassed by the more recent Hitman games. However, its inventive settings and variety of killing methods mean this is a game still worth playing today. 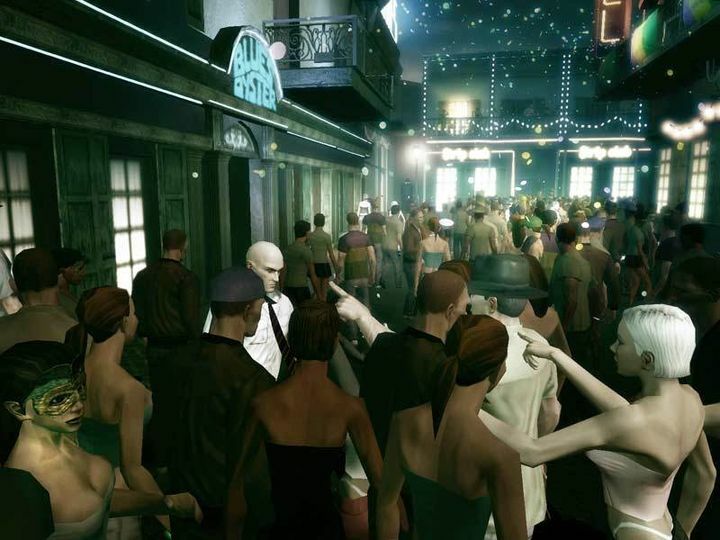 It’s a great thing then, that Hitman: Blood Money is getting a 4K remaster, while being able to replay Hitman: Absolution with upgraded visuals will likely also please those who have been following the series for years, as well as newcomers too. Note: Hitman HD Enhanced Collection launches on January 11, 2019 (digital only). Available on PS4 and Xbox One.